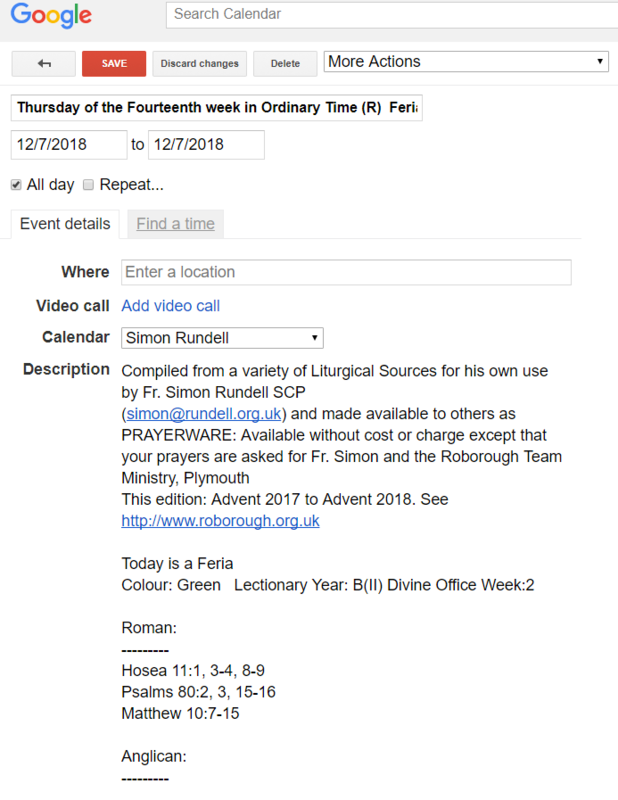 This is my annual release of an Electronic Ordo or Church Calendar, containing daily information and readings for Mass each day according to the Revised Common Lectionary and an Anglican Lectionary in Common Use. It is designed to be imported into electronic calendars which support the iCalendar format. 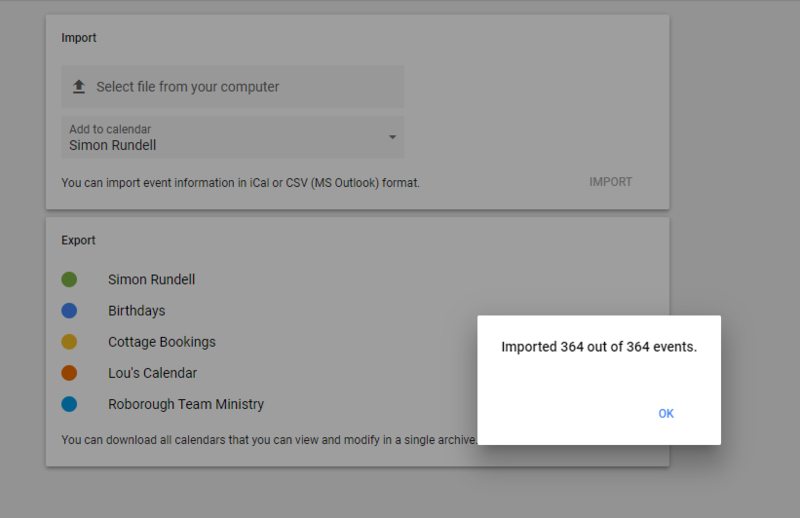 I use it in Google Calendar but it has been proven to work within iCal on the Mac and Microsoft Outlook. 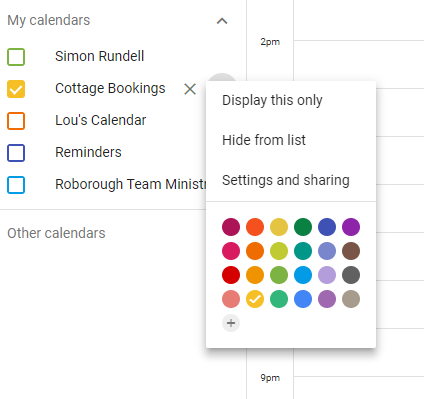 Once in Google Calendar, it will synchronise with your Smartphone or Tablet and give you a quick way to check the Colour, the Divine Office or the readings for Holy Communion. I compile this for myself, and as such it may contain errors or omissions, but if the data is wrong, you won’t be the only one making a mistake, I’ll be making it too! 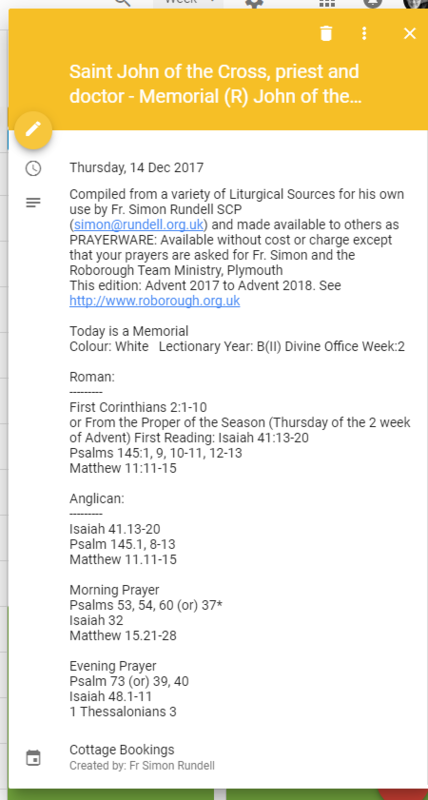 This is released FREE, all I ask is your prayers for my ministry and the ministry of the Roborough Team Ministry here in Plymouth: call it prayerware if you like! 1. Download from the link at the top of the page. I suggest that you right-click and “Save” or “Save as…” as just launching it might by default start loading the Mircosoft Outlook app (or similar) that you never use. This step no longer applies as this calendar is much simpler, much smaller. Many thanks once more for this invaluable resource.